A4LE invites you to join us on October 25 for our annual conference. 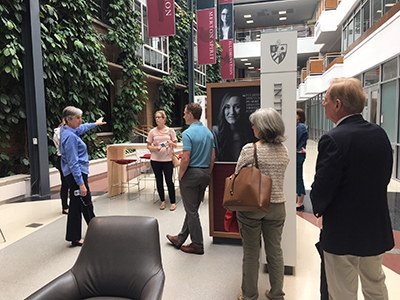 The Kentucky Chapter is hosting a tour of Bellarmine University, Centro Building. 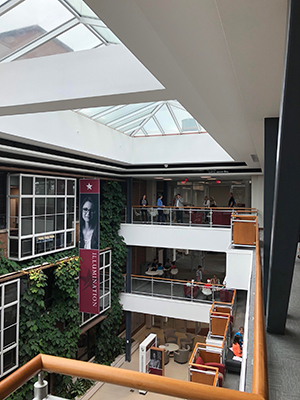 The Centro Building was completed in 2016 by Potter & Associates Architects and CMTA Consulting Engineers. Additional information regarding CEUs will be provided when available. 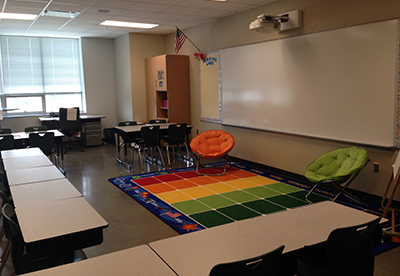 Please join us for an exciting tour and lunch at JCPS’s newest school, Norton Commons Elementary. 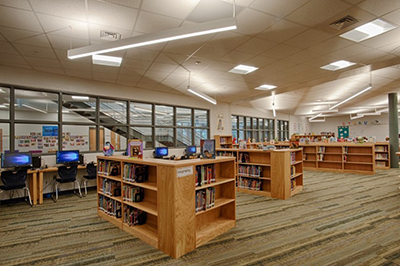 Located in northeast Jefferson County, the state-of-the-art building features plenty of natural light and eco-friendly details such as energy-efficient motion-activated LED lights, individual thermostats in classrooms and geothermal heating and cooling, increasing student learning and energy efficiency. 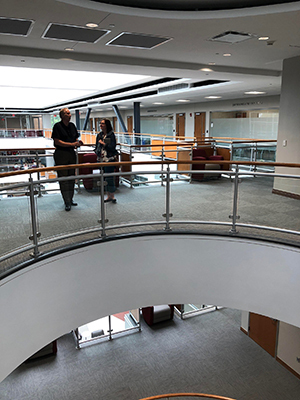 The library media center includes a makerspace – a collaborative learning center that will provide students with hands-on, creative ways to design experiment, build and invent. In addition, the center houses an audio/visual/broadcast room with green screens. Students will have access to a STEAM lab and each Norton Commons Elementary classroom will have Epson interactive projectors. 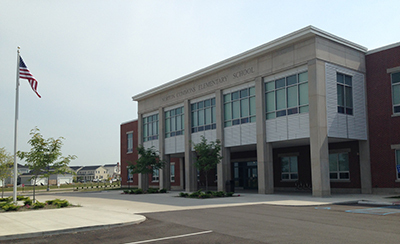 The school enjoys a unique public/private partnership with the Norton Commons YMCA. Promoting educating the “whole child”, the partnership enables them to share facilities, maximize budgets and concentrate public amenities in a central suburban setting. 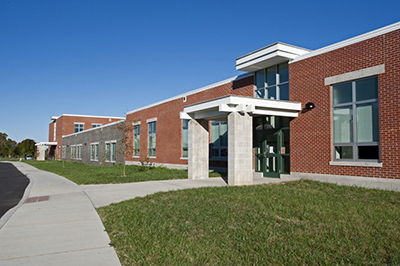 The joint venture with the YMCA is the first of its kind in the state of Kentucky and one of only two such endeavors in the U.S.
With a focus on increasing student learning and energy efficiency, the building was designed and completed by VBN Architects and CMTA Consulting Engineers. 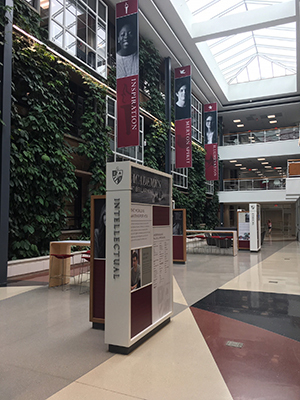 The Kentucky Chapter worked with the University of Kentucky – College of Design on creating 21st century learning environments. 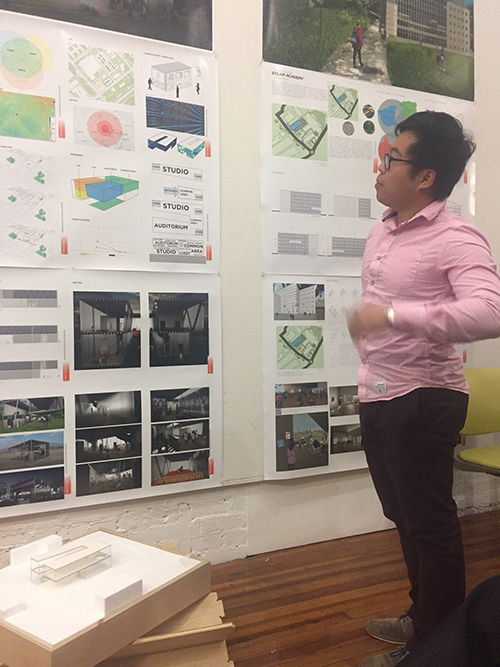 The 3rd year studio class lead by Professor Greg Luhan PhD produced a variety of school projects including a school for students with special needs, rural sustainable schools, TEAM and STEAM academies, and preforming arts schools. 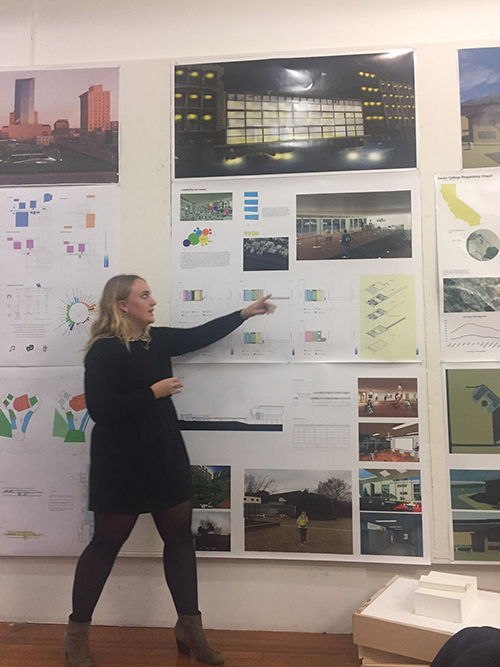 The final jury was held in December and the Kentucky Chapter will issue awards to 2 student projects. 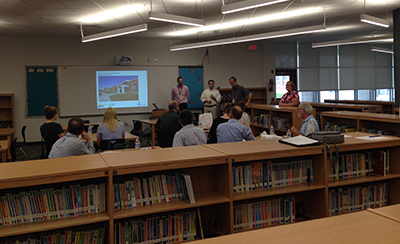 The Association board enjoyed working with the students during this semester and seeing the progress of each project. 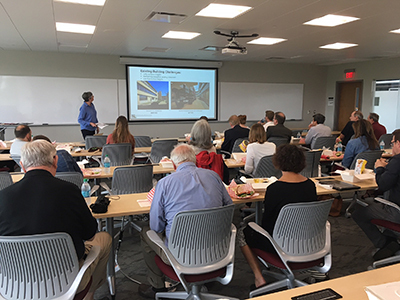 The Kentucky Chapter will continue working with the University of Kentucky – College of Design and students on creating 21st century learning environments. 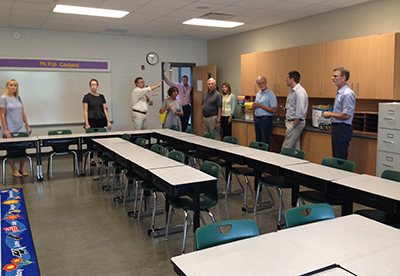 Locust Trace AgriScience Center is the newest career and technical high school in Lexington, Kentucky, with energy and environment being key factors in the facility design and agriculture being the educational focus. Locust Trace features spacious classrooms with adjoining labs; 6.5 acres for gardening; a state-of-the-art greenhouse with an aquaculture area for raising fish; a soaring auditorium with a garage door for bringing in livestock and machinery; an expansive equine barn and arena; and, an on-site veterinary clinic. 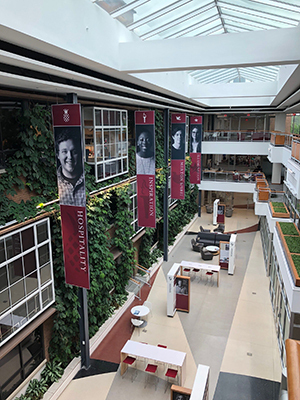 Students study in one of five programs; Plant and Land Science, Veterinary Assistant, Agriculture Power Mechanics, Equine Studies and Large Animal Science. The school is designed to be net-zero in energy through the use of photovoltaic solar panels and net-zero in waste disposal through the utilization of constructed wetlands. The school is also minimally hooked up to water municipalities. All rain water is collected from the classroom building and the equine barn/arena to be utilized for all crop irrigation and livestock watering. An on-site well has been accessed to back up the rain water collection system in case of a drought. 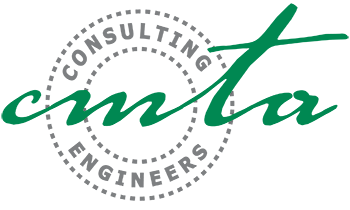 Sustainable agriculture is a focus in all programs. 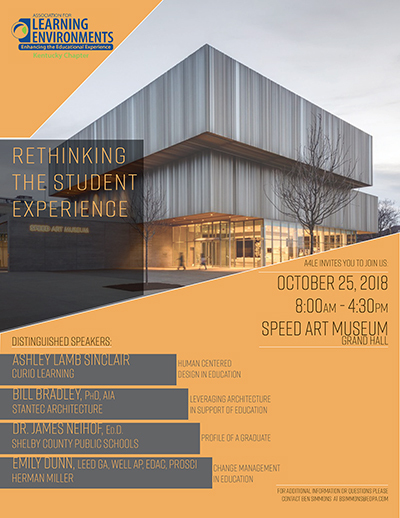 AIA Continuing Education credits will be available for this tour and presentation.